Don't be fooled by the name, Excel is not only the name of some Microsoft software but also a wonderful brand that sells designer clothing, shoes and accessories for women, men and children. The even better news is that they are running a competition to win £500 to spend with them - you can check it out here. 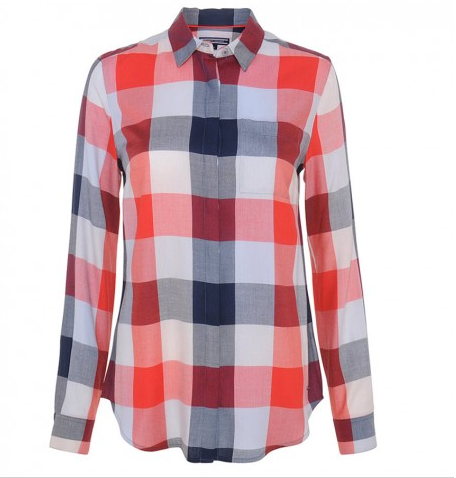 I absolutely adore this colourful Tommy Hilfiger gingham shirt. It would be perfect for slightly breezier days or to slip on in the evening with a black skirt or some stone wash jeans. I was drawn to this Sugarhill Boutique dress as it has such a pretty feminine shape and the colour is very summery without being overbearing. I also think that the print is adorable and makes the dress a bit more fun. My last pick are these gorgeous ElliaB loafers as the colour is just so gorgeous and they would look really pretty worn with a long, flowing white dress for a picnic. I love that shirt - so classic to wear with jeans and trainers or tucked into a black pencil skirt. 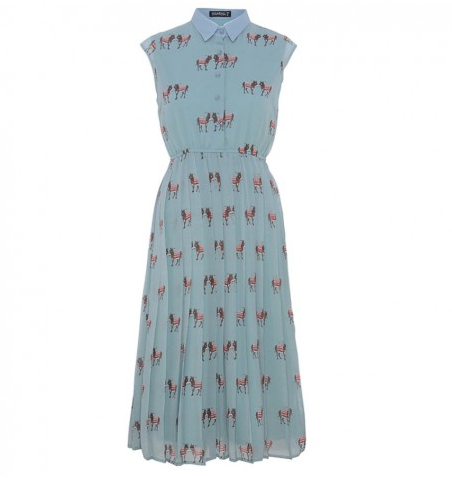 The dress is also gorgeous - Sugarhill Boutique always have such quirky but pretty clothing.